The most common type of hair loss is male pattern baldness which more than half of males above 50 years old. But it is not just a male problem. One study found out that 3 in every 4 women over 65 years of age suffer from some form of hair loss. However, there is another form of hair loss that can occur at any age. Doctors call it alopecia areata. While it is not life-threatening, it does cause distress, can affect confidence and significantly impacts the personal and social lives of individuals who have it. Sometimes a person’s immune system attacks the hair follicles by mistake. This results in a type of hair loss called alopecia areata. Medical experts do not understand why the immune system turns against its own hair follicles. Most cases are found in population aged 15-30, but anyone can suffer from it. 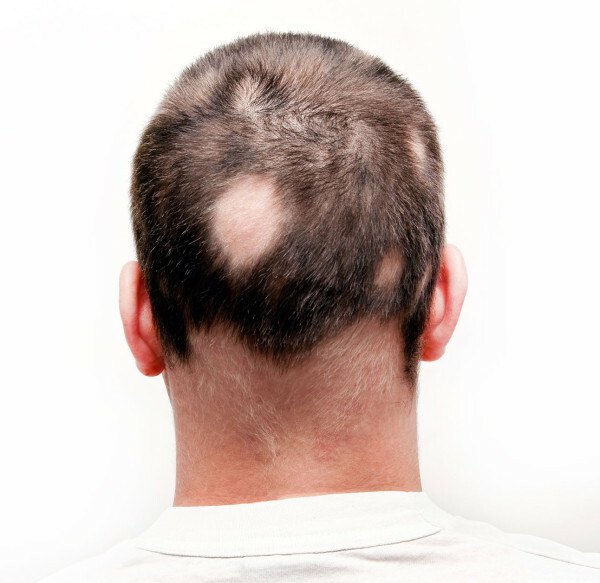 People with alopecia areata may begin to notice losing clumps of hair. They soon notice bare patches on the scalp. In other cases, the hair just thins out evenly. Some people have hairs that grow and break off to leave short strands. Rarely alopecia areata can result in more extensive hair loss elsewhere on the body. The good thing is most people with one patch of hair loss will get their hair back. Hair regrows on bare patches. Scientists cannot exactly determine why the immune system attacks the hair follicles, but research and statistics suggests that the autoimmune component is associated with other autoimmune diseases, such as thyroid disorders, vitiligo, diabetes, and even stress. Alopecia is best treated by a dermatologist using a number of different approaches depending on the nature of the patient’s hair loss, his or her preferences, and health status. There is no single treatment for all cases. Dr Glass gives his patients the freedom to choose the course of treatment after informing them the pros and cons of every option. Intralesional steroid injections are the often the first treatment, especially for patients with limited hair loss. Occasionally oral steroids are used for people with rapid and severe hair loss. People who experience massive hair loss may not benefit much from steroid injections but can regain their hair through topical immunotherapy and phototherapy. Dithranol cream is also prescribed. Although it originally is a psoriasis treatment, it seems to stimulate hair growth on bald patches. It is safe, and so doctors prescribe it. The downside is it stains the skin. Alternatively topical steroid creams can be used. Ultraviolet light treatments, can be used with variable results. Ideally patients should discuss their options with a qualified dermatologist, like Harley Street’s Dr Daniel Glass, to avoid complications.